Objective: The objective of our present study is to analyze the relationship between ethical marketing and strategic balance in the sample companies represented by the private and public companies operating in the industrial sector in the provinces of Babylon and Holly Karbala. Methodology/ Design: The problem of the study was formulated through several questions regarding the relationship between the variables of the study and its nature by which the objectives of the study were identified and represented in hypothetical scheme which shaped the formulation of the hypotheses that were scaled in the advanced statistical program "partial least squares structural equation modeling (PLS-SEM)" by analyzing data provided by the research tool (questionnaire) after applying it on the research community members who have been picked randomly: sections and branches managers from different administrative levels. (57) Questionnaires were distributed to public and private sector companies, (54) have been retrieved and (4) were excluded for being invalid so the final number is (50). For the analysis of data, the researcher used a set of statistical methods in the advanced statistical program (SmartPLS V.3) for data analysis because of the scarcity of research and studies using this advanced program and the accuracy of its results that can help in reaching objective and precise conclusions, as well as the use of (SPSS v22) to evaluate the scaling tools. Theoretical results: there is an ambiguous perception concerning the nature of relationships among current study variables represented in the independent variable (Ethical Marketing) and subsidiary variable (Strategic Balance). Practical results: the most important practical results reached by the researcher can be summarized in the presence of a relation of direct, positive and moral effect between ethical marketing and strategic balance of both sectors. The value and authenticity of the study: The value of the research lies in establishing the rules of knowledge and concepts of its variables through clarifying the relation of direct, positive and moral impact on these variables after applying them to the constituents of the study society and through a comparison that resulted in the superiority of private sector companies in their application of ethical marketing that achieves strategic balance and directing it towards the sector of a great impact on the Iraqi economy. 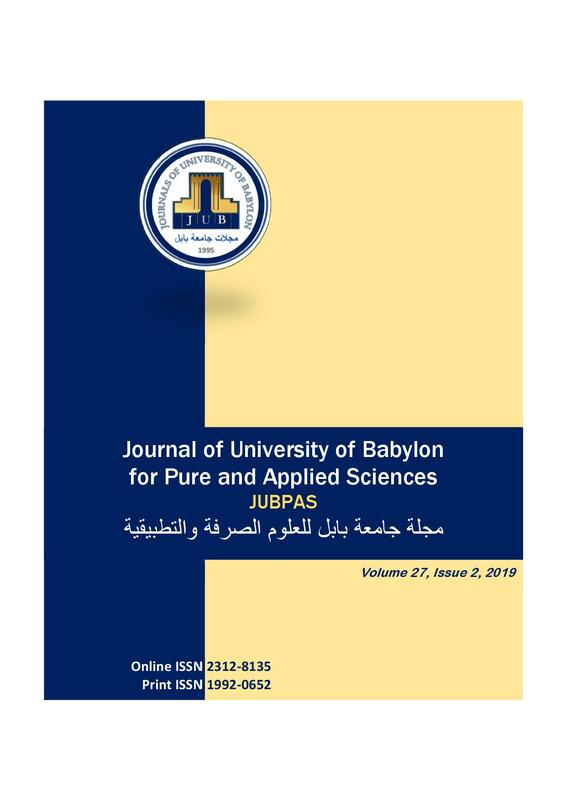 A. Albaghdadi and M. Dhafer, “Analyzing the Relationship between Ethical Marketing and Strategic Balance : An a Comparative Study in a Sample of Companies in the Industrial Sector in the Provinces of Babylon and Holly Karbala,”, JUBPAS, vol. 27, no. 2, pp. 155 - 169, Apr. 2019.